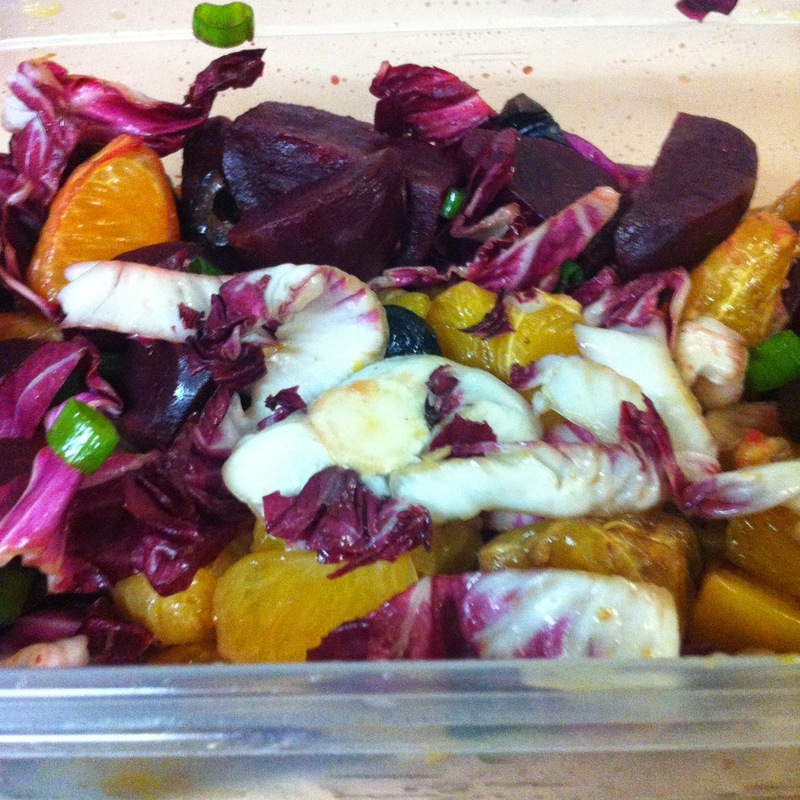 This salad is a combination of sweet and bitter flavours with subtle acidity and saltiness. 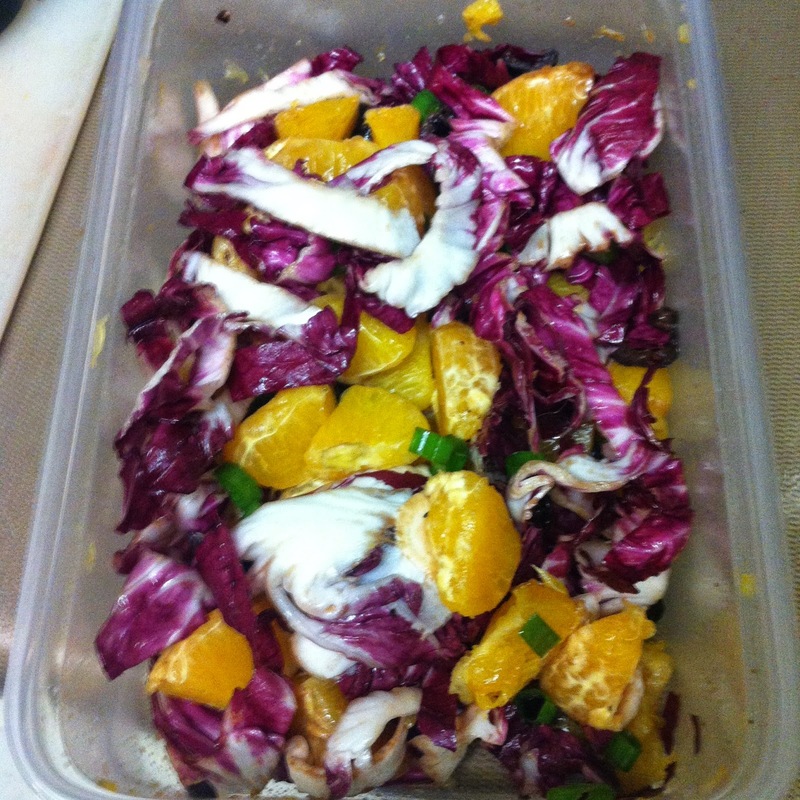 The oranges and beets comprise the sweet factor with the radicchio providing a bitter contrast. 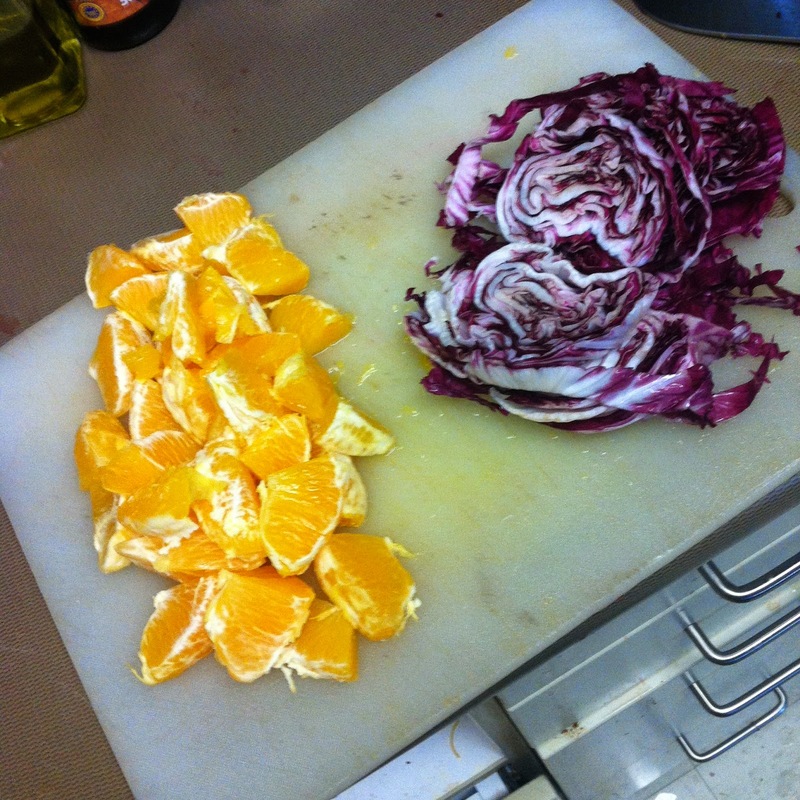 The oranges also contribute to the acidity with the vinegar. 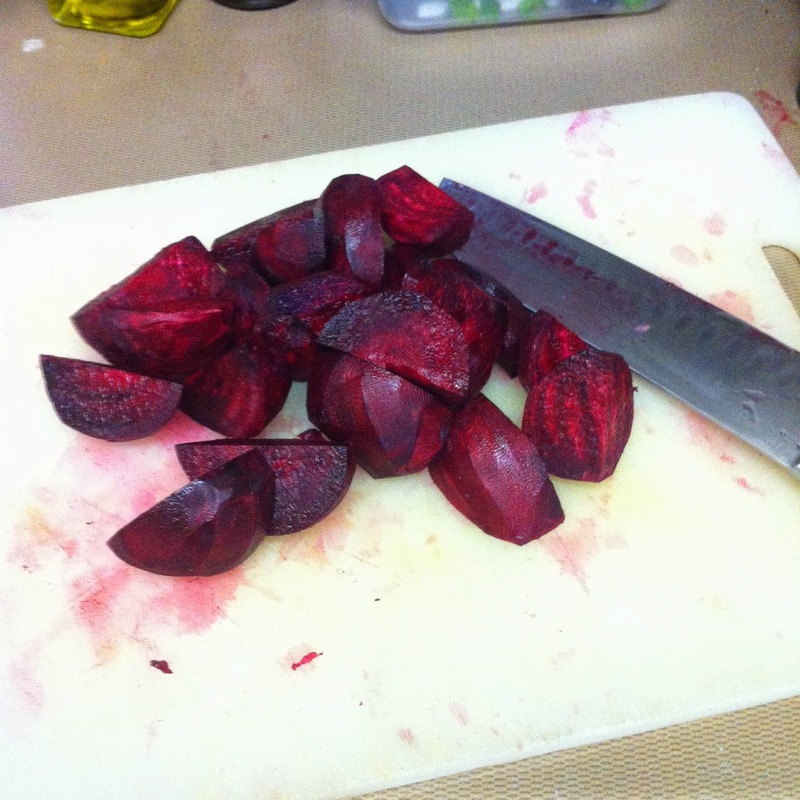 First, skin and cut the beets in quarters then add to cold water and bring to a boil. 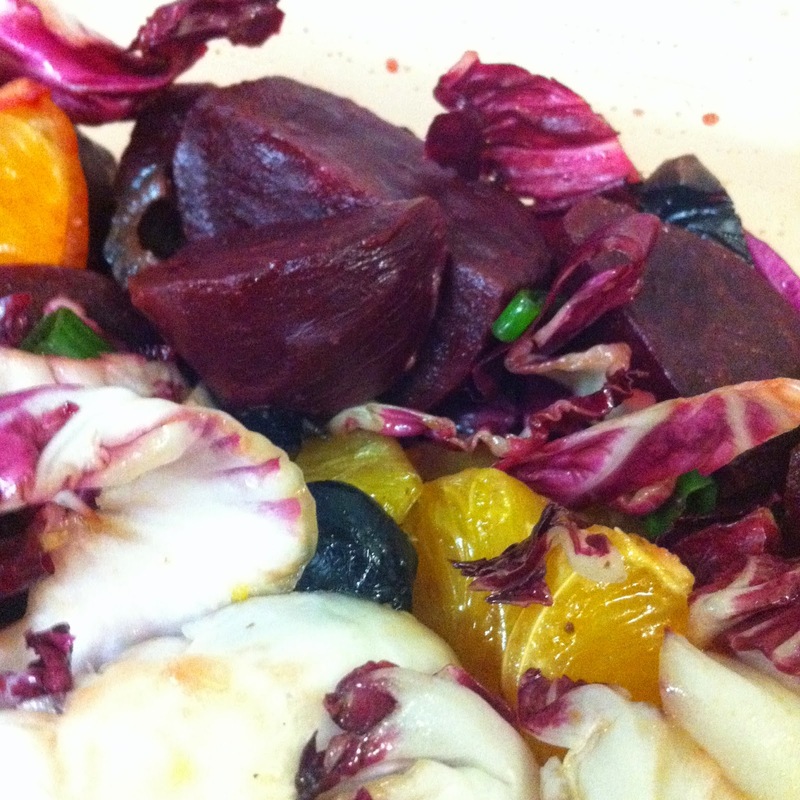 Keep boiling for 25 minutes or until the beets are fork tender. While waiting for the beats to tenderize, peel and cut the orange slices in half. 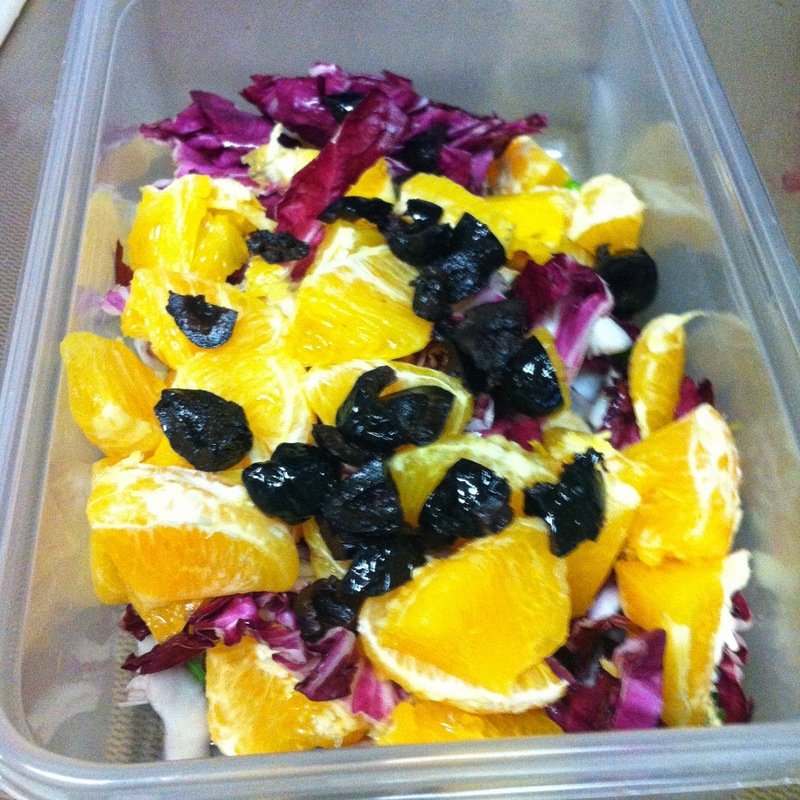 Slice the radicchio and add into a mixing bowl (don't knock tupperware) with oranges, green onions, and quartered black olives. 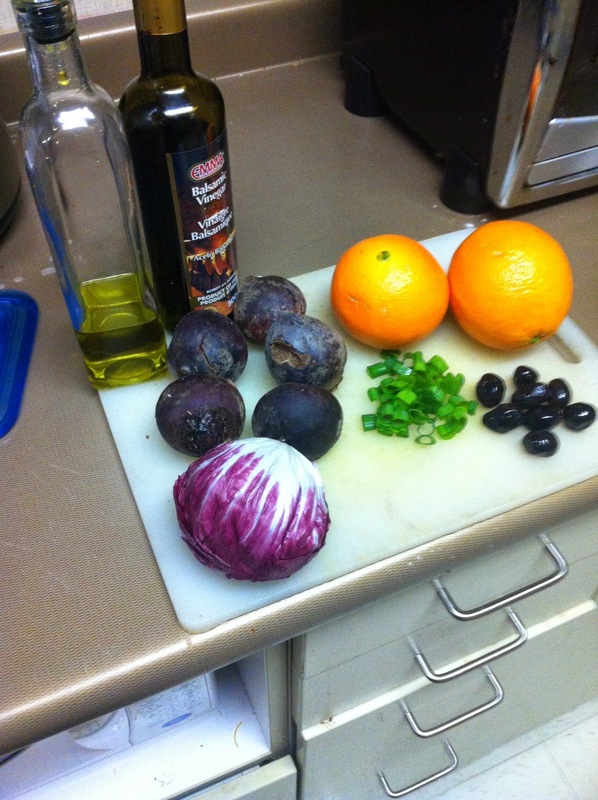 Then add balsamic and olive oil and mix thoroughly. 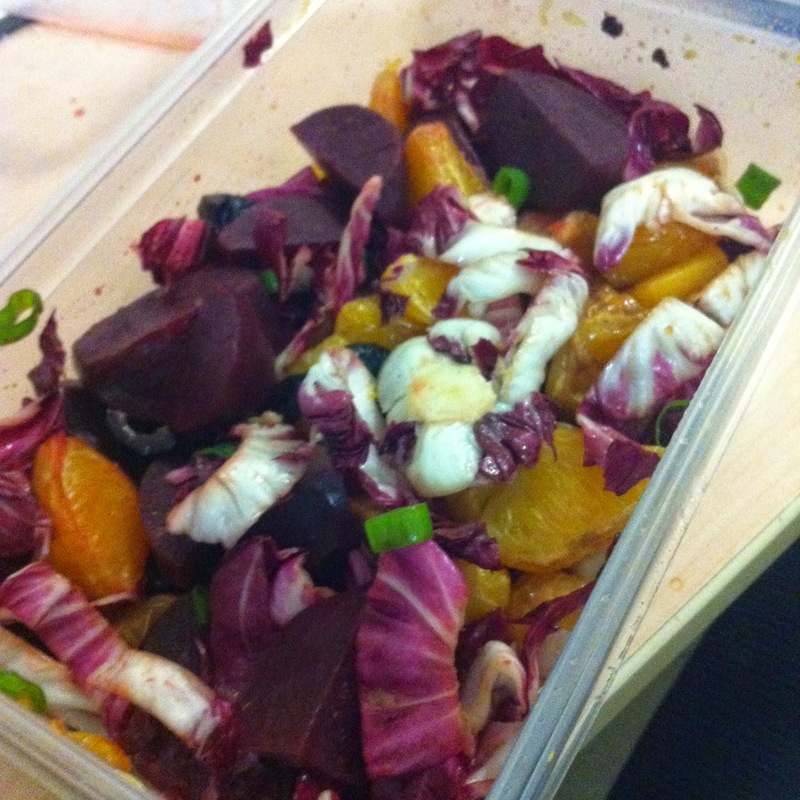 Once the beets are tender, drain and let them cool before mixing with the rest of the salad.